The Secret Lion is the first novel in the Spymaster Chronicles by C.W. Gortner , writer of historical fiction. 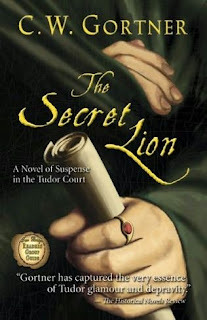 The Secret Lion is set in 1553 at the height of scandal in the Tudor dynasty and follows Queen Elizabeth and her lover Robert Dudley. Our main protagonist is Brendan Prescott, a man of lowly rank who serves the Dudley household and becomes part of a plot to save Queen Elizabeth when her brother King Edward VI mysteriously disappears. The loyal Brendan functions as a spy, and we soon learn that his humble yet intelligent character is worth more at court than his supposed rank. The Secret Lion has a most intriguing premise; after all, who isn't in love with reading about the Tudor family? The plot summary pulls you in, however there's only so many new, fictional twists, spins and speculation you can put on one of the most interesting families in history. 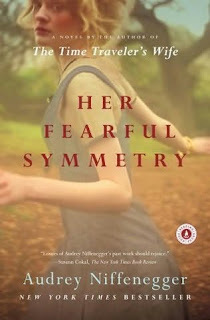 In reading numerous reviews on Her Fearful Symmetry , I have found that the novel has a love/hate relationship with its readers. While some people find it to be a beautiful piece of literature, others simply abhor it. 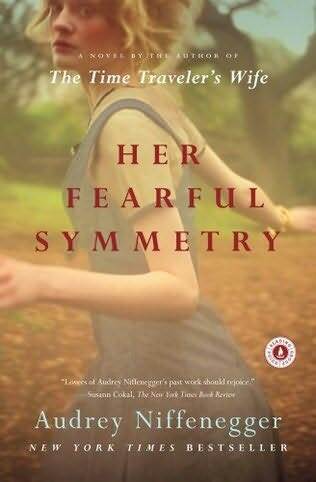 Her Fearful Symmetry IS beautifully written, but it's the story I hate. The novel is about two twin women named Julia and Valentina who inherit an apartment in England upon the death of their aunt Elspeth, who is the estranged twin to their mother, Edie. Before her death, Elspeth made rules to this inheritance that the young twins must follow; first, that they live in the flat one year before they are allowed to sell it and second, that they never allow their parents to set foot in it. 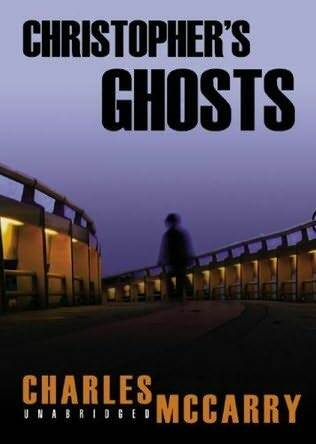 Why I have a copy of Christopher's Ghosts is a mystery to me but I'm sure it came to be in my possession as recommended reading from some publication or another. It's definitely going to be the first and last novel I ever read by Charles McCarry . The only way I can see anyone enjoying Christopher's Ghosts is someone who has read the entire espionage series featuring Paul Christopher. This particular installment is the seventh novel. Christopher's Ghosts takes us back to Berlin in the late 1930s, where Paul and his family reside. Despite Paul's family being German, their family is consistently harassed by the Nazis, and the fact that Paul's girlfriend Rima is Jewish doesn't help matters. The Christopher family has one main bully, and this person is S.S. officer Franz Stutzer. 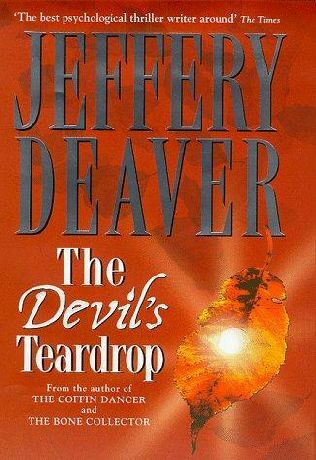 Jeffery Deaver is my ultimate favorite mass-market author. His suspenseful mystery novels are the best in his genre because you'll never be able to put the pieces together. Deaver is the king of red herrings and he never fails! 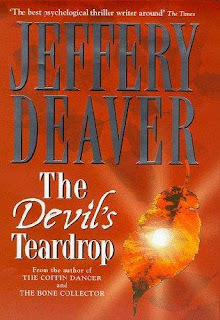 The Devil's Teardrop takes place on New Year's Eve 1999 and follows forensic document expert Parker Kincaid and FBI Agent Margaret Lukas as they try to capture a deadly killer known as the "Digger". After an early morning attack on innocent bystanders at the metro station in Washington, D.C., the two heros must predict the Digger's next move based on a handwritten ransom note letter left behind as evidence. Adventure and danger greet Kincaid and Lukas as they spend the entire day pursuing the Digger. The Good, the Bad, and the Mad is a collection of thirty-seven brief stories on notable people in American History, well, according to the author at least. Author E. Randall Floyd writes an introduction explaining his fascination with "weirdos" in American History and how he came to compile and write this short volume. This book is a very, very short glimpse into the lives and histories of these people and provides biographies of each one. By no means is The Good, the Bad, and the Mad detailed in any way, but is more suited to whetting our appetites and sparking our interest in the array of men and women mentioned. For some readers, the book may motivate you to seek out more explicit volumes on the people that actually do interest you! My Worst Best Friend is actually the worst novel I've read from front to back in a long, long time. 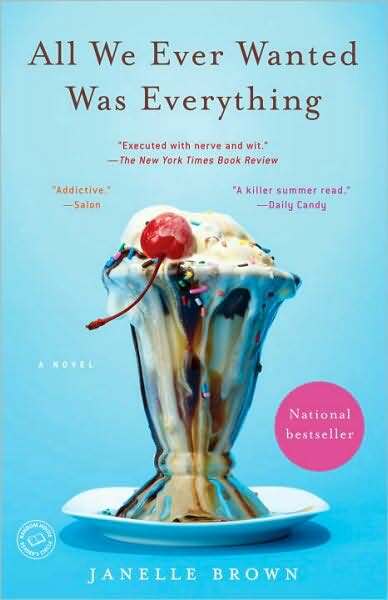 I will recommend this book to any young woman who wants to learn how to act like a spoiled, self-centered diva who lacks having had parental guidance in regards to morals and honesty. I really hope the person I just described doesn't exist. Well, I'm sure this person does exist, but they won't have the brains to read this review in the first place. My Worst Best Friend is about two best friends who demonstrate the grand epitome of opposites attract. Gracie is plain, boyish and smart with common sense and a good head on her shoulders, whereas Savanna is a beautiful, charming, manipulative brat who has already mastered the art of flirting at the age of sixteen and gets her way one-hundred percent of the time. Zennor in Darkness is Helen Dunmore 's first novel for adults, however she is also very prolific with children's novels. 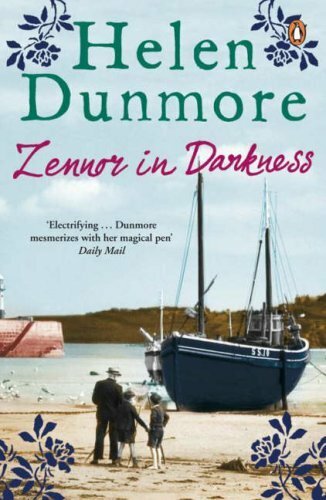 All of Dunmore's books are shockingly descriptive, and even this adjective lacks justice -- obviously she has had the gift to write so well since day one because Zennor in Darkness is truly incredible from an intimacy standpoint and is beautifully written. 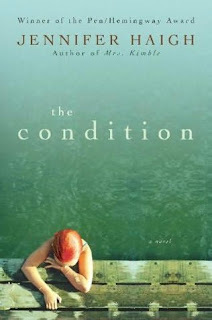 The novel is set in England during WWI along the coast of Cornwall. Those infamous U-boats are prevalent and us readers are faced with the impending doom of this region's war days to come. Chasing Harry Winston is best-selling chick-lit author Lauren Weisberger 's third novel and tells the story of three women on the brink of turning thirty who make a pact to change their lives for the better. Although these women are successful, rich and beautiful, for some reason they feel the need to experience some life-changing, epiphanal (I know that's not a word, but I like the sound of it) moments while in the midst of their apparent pathetic and lowest moments. 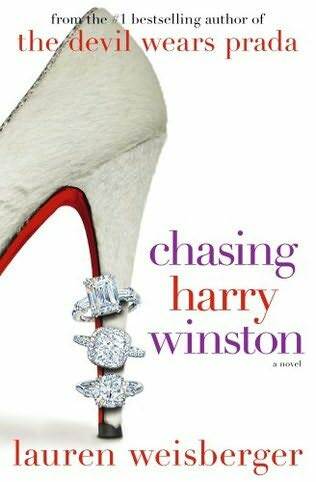 We have Adriana -- a Brazilian goddess and debutante who is so inhumanly beautiful she can get any man she wants, Emmy -- a successful chef who gets dumped by her boyfriend for a younger cheerleader-type, and Leigh -- a publisher and editor with the perfect fiance but instead pines for her new client, a handsome best-selling author.